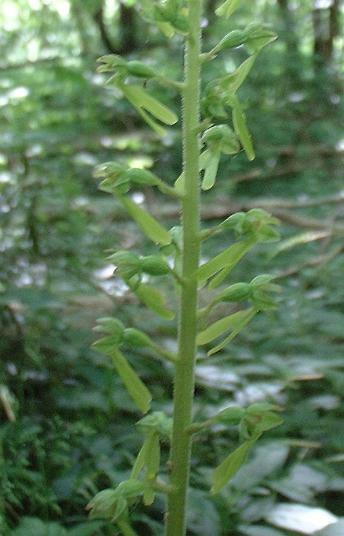 stem ends in a flower spike bearing one or two, rarely three, of the large conspicuous flowers. 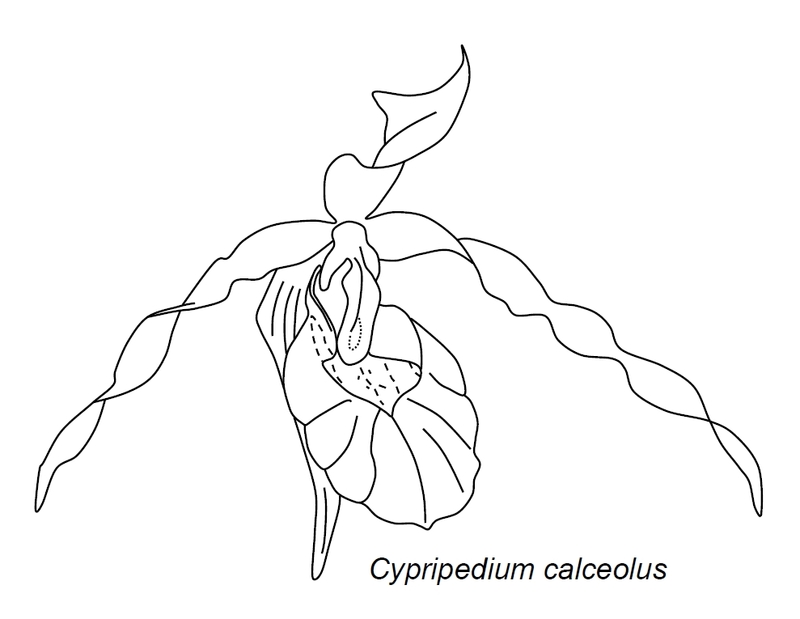 typically twisted in the Lady's Slipper Orchid. 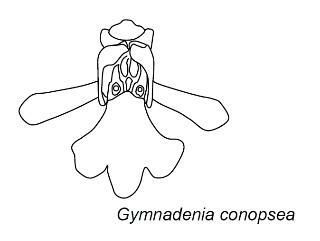 See: plant bodies for a general description of terms like sympodial and monopodial. 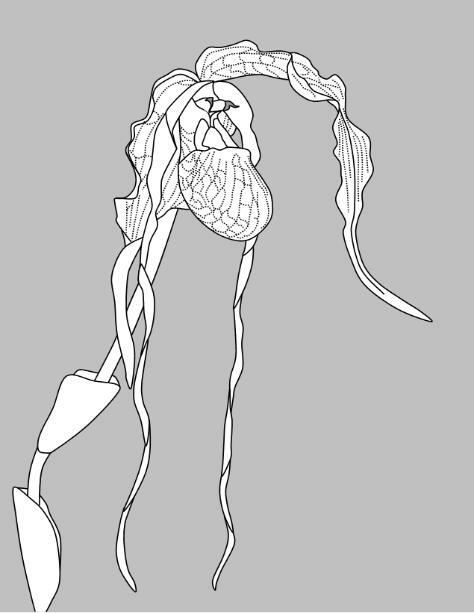 bud produces the entire stem, giving rise to a series of phytomeres connected in a chain. 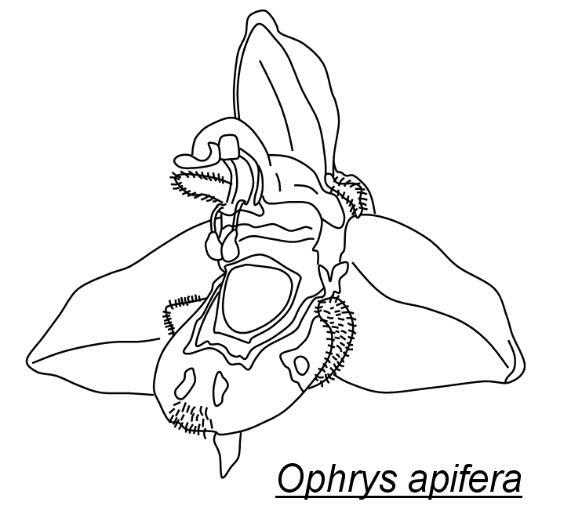 system eventually stops when a phytomere gives rise to a modified flower-bearing shoot or spike. 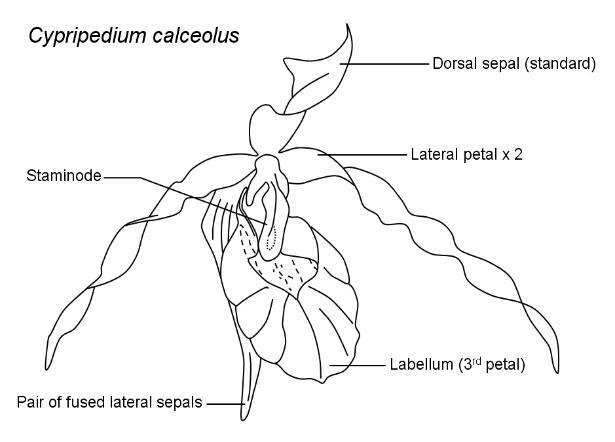 floral organs - sepals, petals, stamens and pistil. 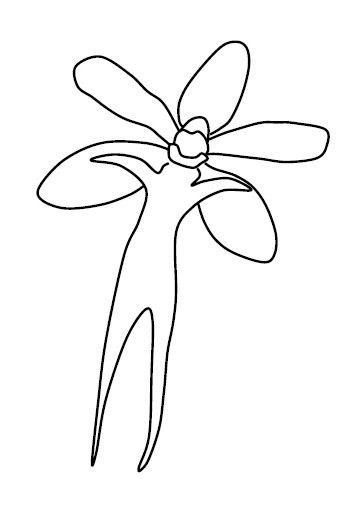 See flowers for an explanation of technical terms like stamen, anther, filament, stigma, style. whorl, then three petals above these, three stamens and the pistil consists of three fused carpels. so that the lip, which is the modified upper petal, is actually lower-most. 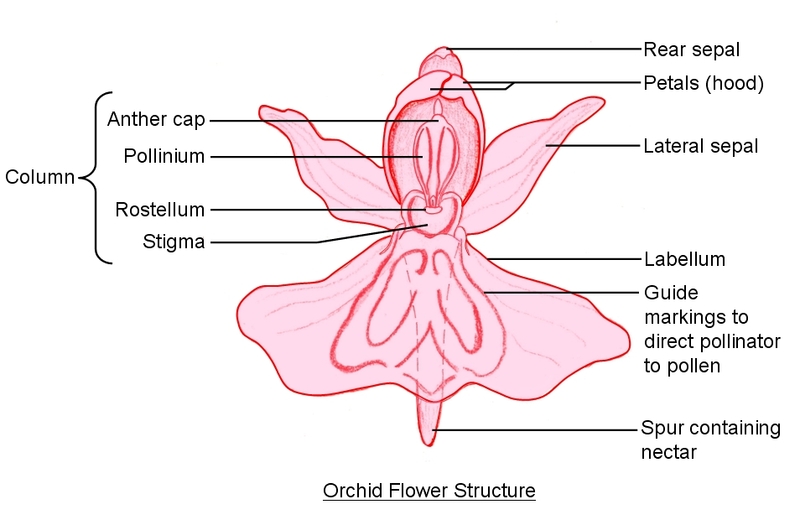 underneath the staminode where they are fused into contact with the pollinia and/or stigmas. 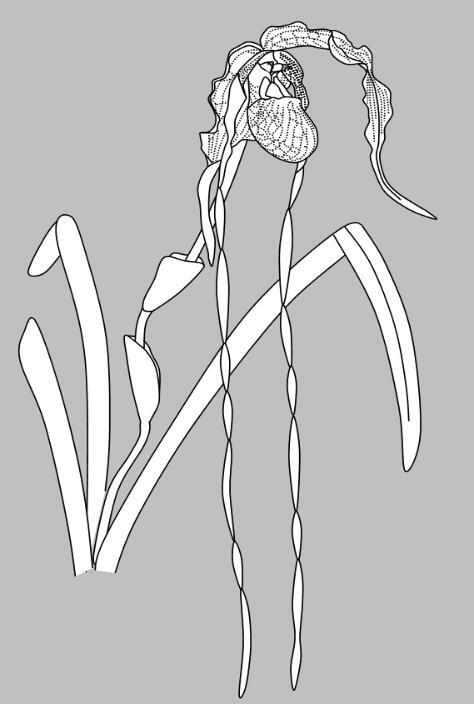 already mentioned, like the Ghost orchid continue to feed off their fungal partners when mature. 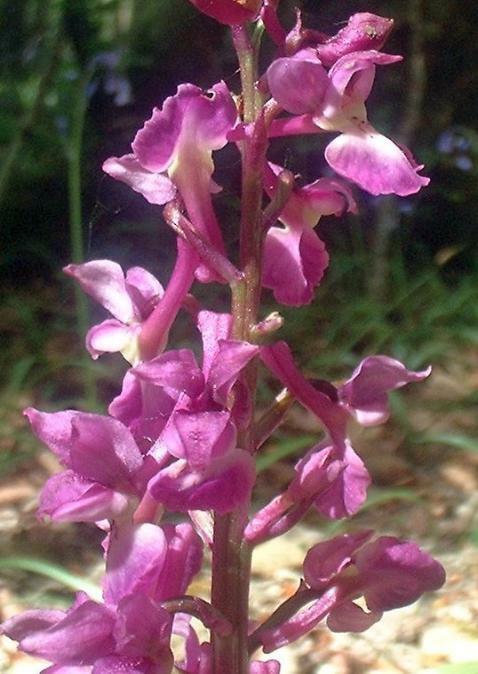 remains a possibility that they contribute fixed nitrogen to the orchid roots. 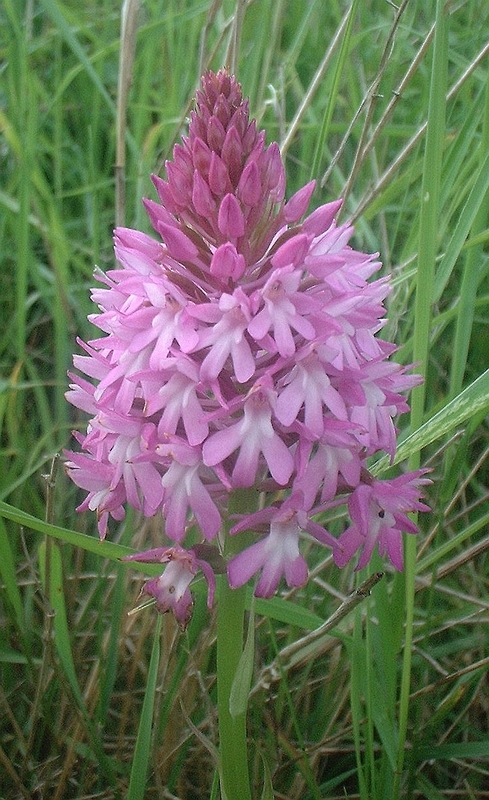 the number of flowers clustering together increases with age of the plant. leafless, hence 'aphyllum' though its leaves have degenerated into small non-green scale leaves. instead entirely on its fungal partner for nutrition. 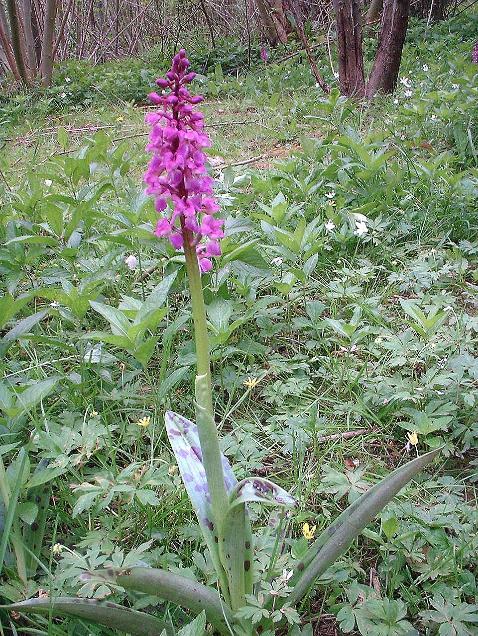 which are then 'stolen' by the orchid. (See also parasitic plants). 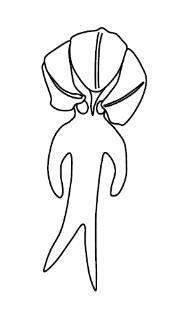 are made up largely of thickened leaf-bases, holding nutrients, make up the bulk of the structure. 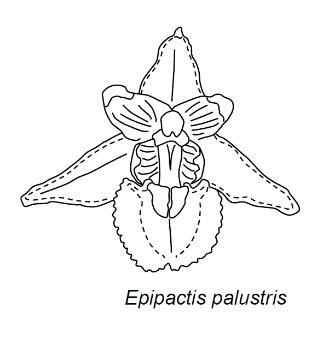 The term 'pseudobulb' was applied to stem thickenings in epiphytic orchids, which store nutrients. period, but will become next year's withered husk as a new tuber takes its place. arrange to see parts of collections. 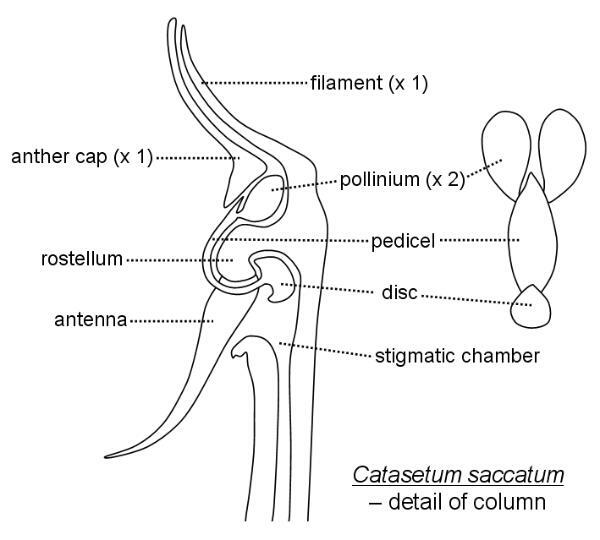 cap; r, rostellum; s, stigmatic surface; v, viscidium. 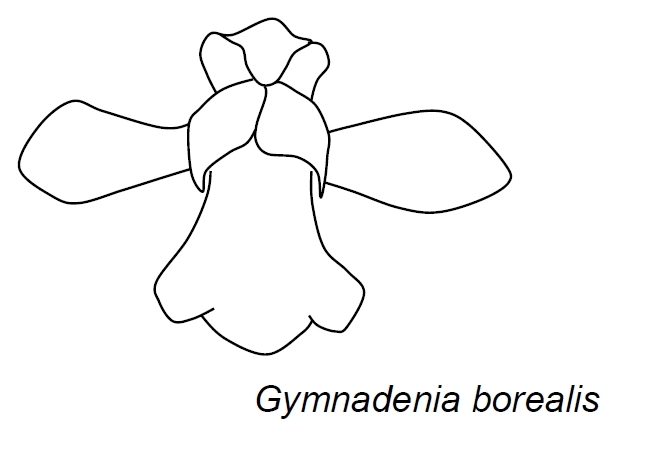 The spotted mass represents the pollinia. reduced and the viscidium absent. 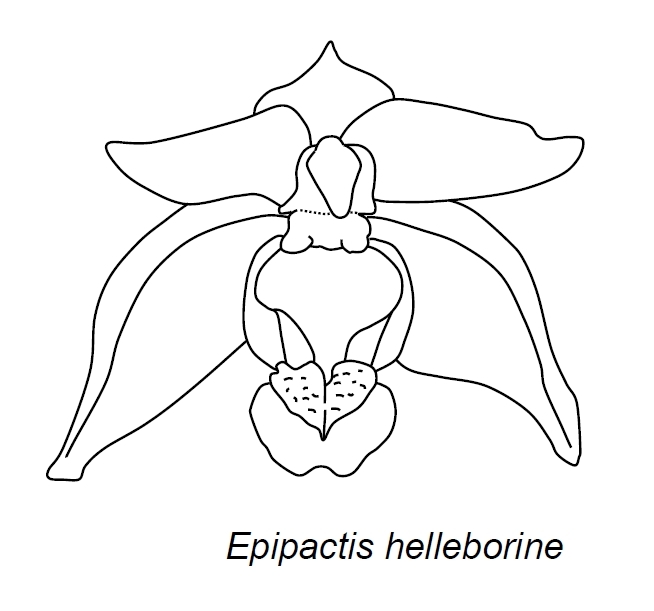 labellum. 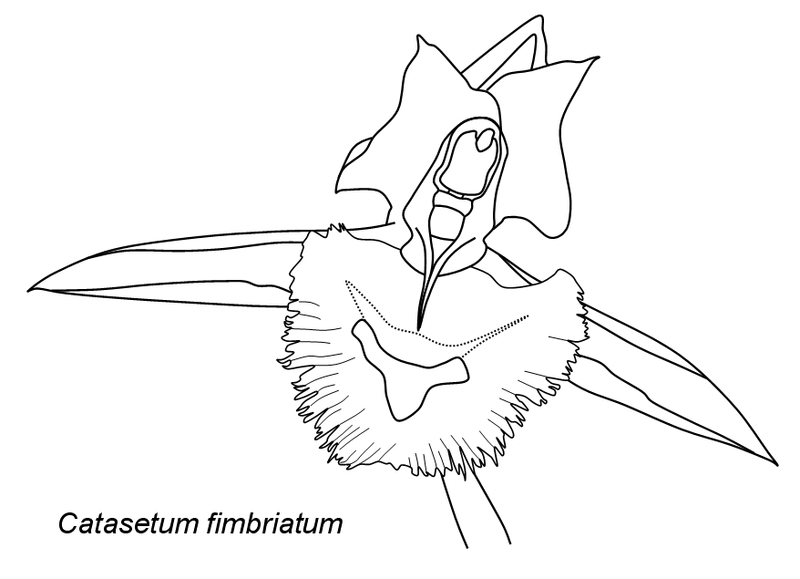 In the process, the insect brushes the rostellum and picks up the viscidium and pollinia. it can reach the nectar! and fused into a V-shape. 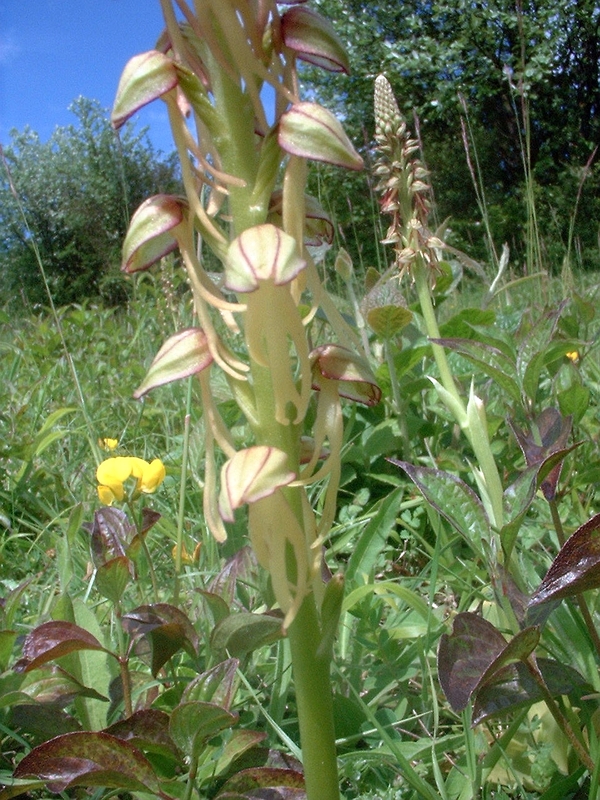 flowers vary greatly, especially those of E.
characteristics when confirming an identification. of the heart-shaped epichile is generally turned under (which is sometimes also the case with E.
have unusual colour variants or dried specimens which have lost their colour. 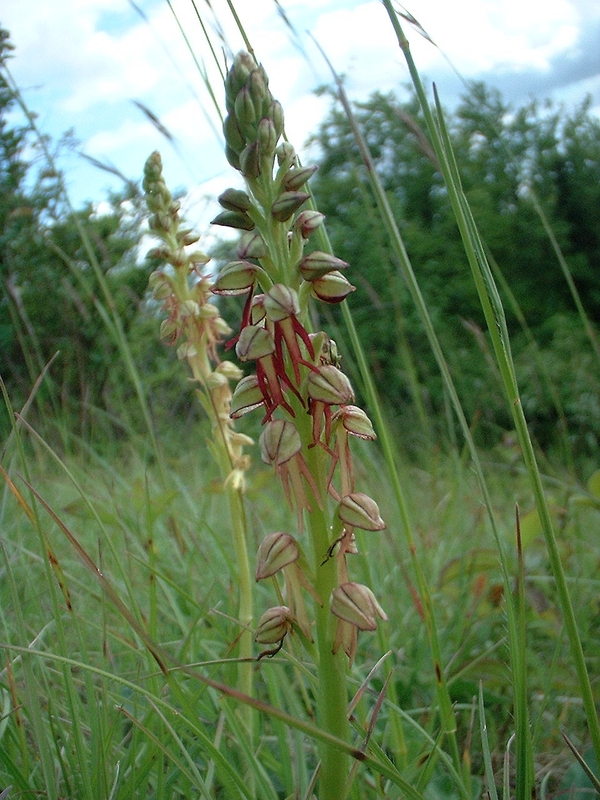 These two orchids have different habitat preferences, though again with some possible overlap. with orchids to discover that the exact pollinators in some geographical regions remain unknown. marshes with neutral or alkaline water. 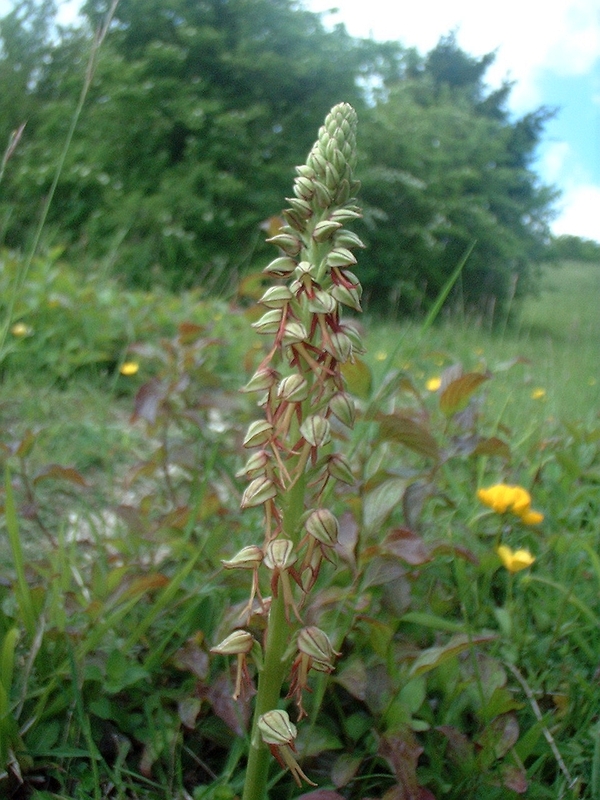 flowers in a full-looking flower spike do occur. 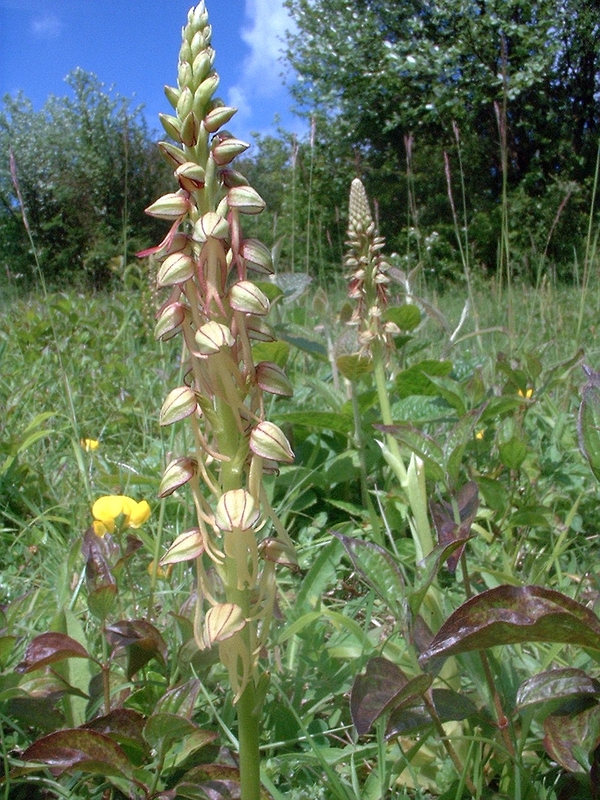 The habitats of the three species may also overlap. 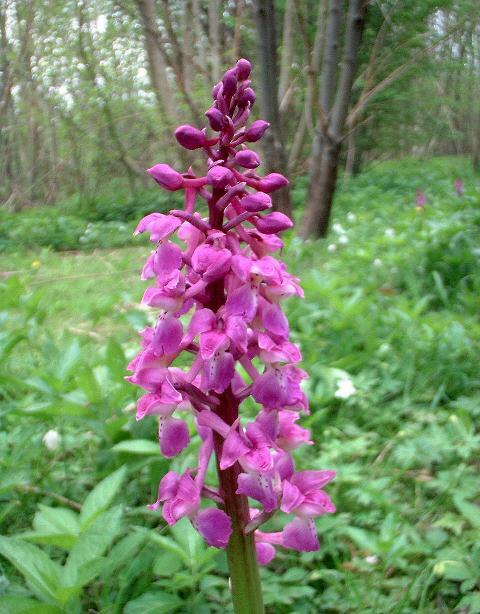 The answer is to use more than one characteristic when identifying Fragrant Orchids. pollinators for the other two species is lacking. 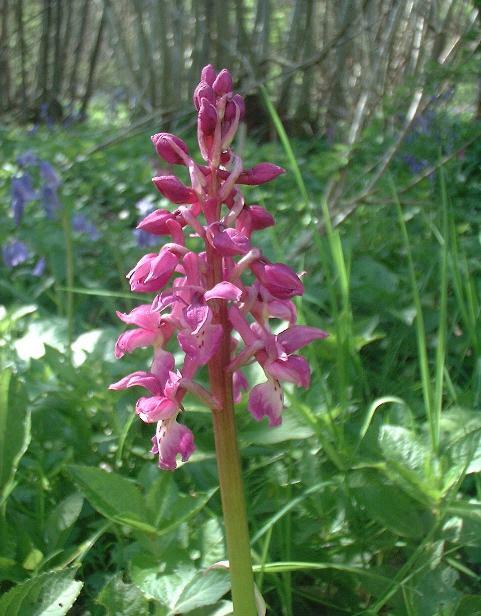 been observed collecting wax from orchids. 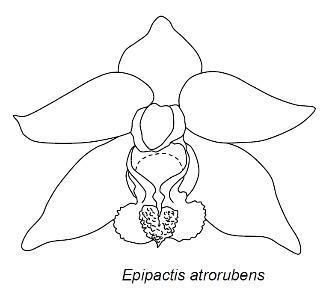 other orchids have been found, demonstrating that cross-pollination may also occur. Pseudocopulation with bees has been recorded. Ophrys insectifera even resemble insect antennae! 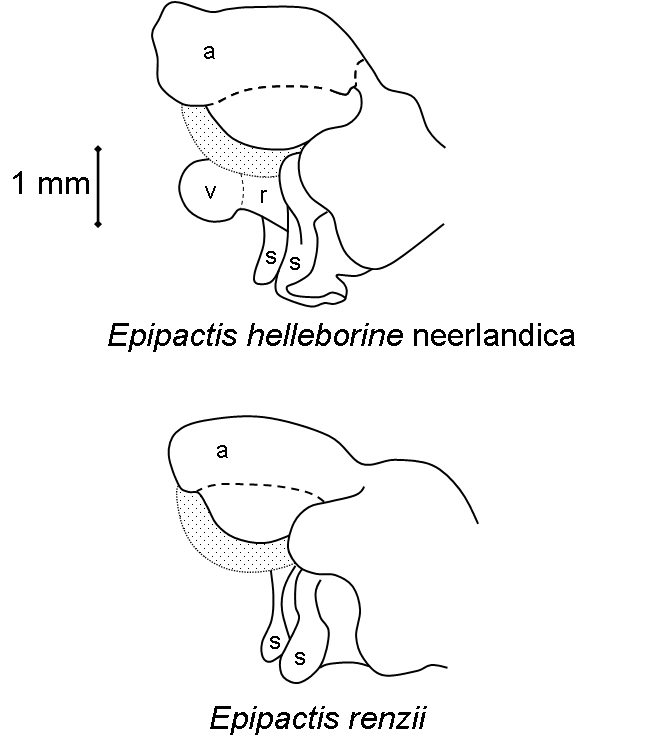 lateral (side) lobes. The flowers of G.
flower has a spicey-sweet clove-like scent. tongue-like or like a tube-dress in outline. parallel straight sides and blunt tips. 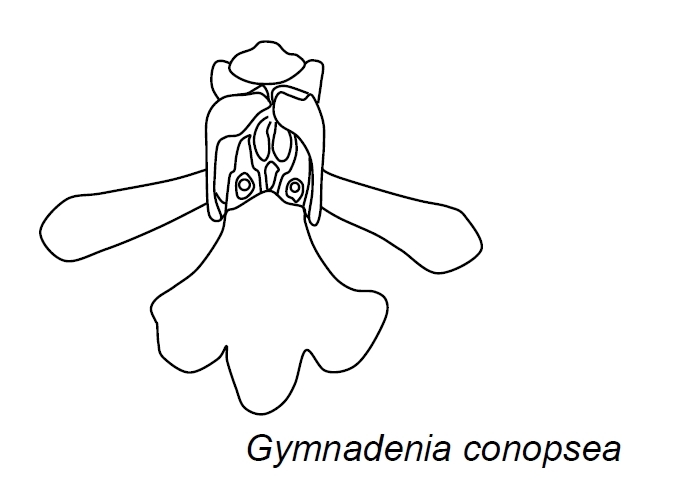 of G. conopsea. 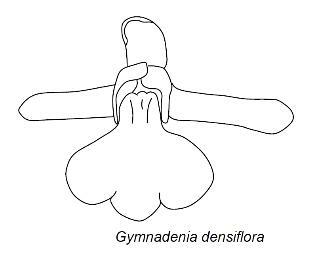 The labellum of G.
and bottom. Note the characteristic purple spots on the leaves. beginning to whither, whilst many towards the apex are yet to open. they may grow at over 5 cm (2 in) a day! orchids are mostly terrestrial, that is rooted in soil throughout their lives and non-epiphytic. Others grow anchored to the surface of boulders. and these orchids may lack the ability to photosynthesise altogether (see parasitic plants). 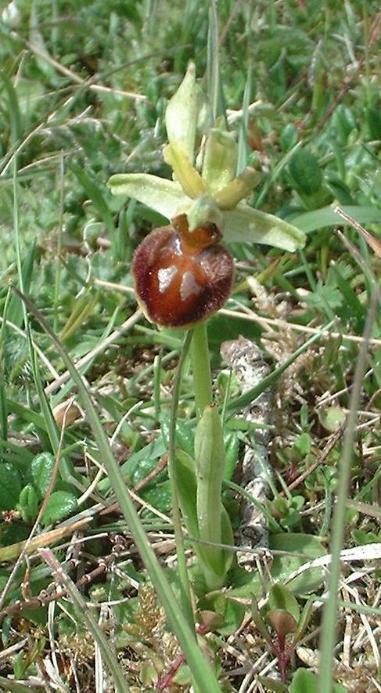 Orchid seeds are minute, superficially resembling grains of flour, and are called 'dust seeds'. undifferentiated and simple mass of cells. 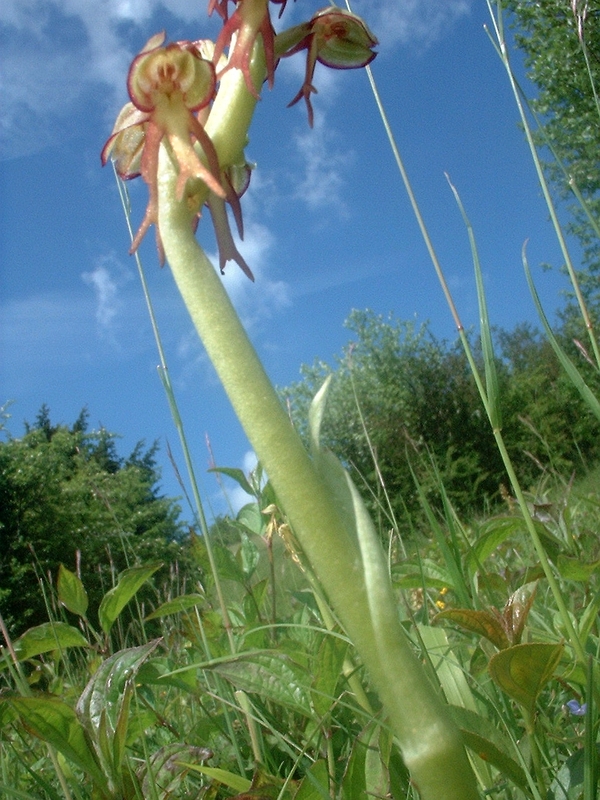 out shoots many metres long and upright inflorescences (flowering stems) up to five feet tall. with the body of the orchid consisting entirely of green roots which put out inflorescence shoots. fleshy and act for water storage, sometimes totally replacing the pseudo-bulbs in this function. several years and reach several metres in length, putting out new adventitious roots at intervals. then decompose and provide the epiphyte with valuable nutrients. maximise photosynthesis in their short season before falling in the dry season to conserve water. and 24 inches (60 cm) in length! 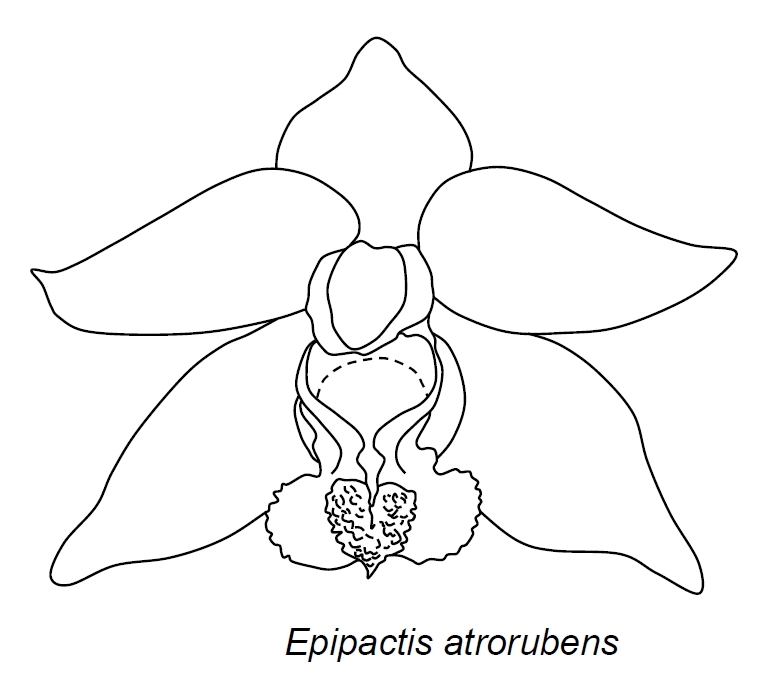 The vast majority of orchids produce capsular fruit with dry seeds. 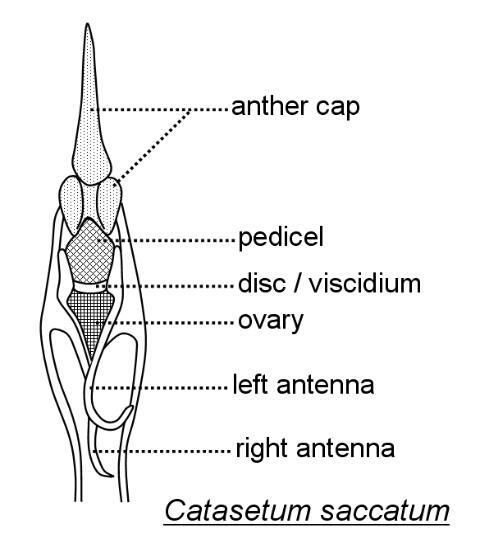 The ovary is often 6-ribbed. tiny seeds which are readily air-borne. 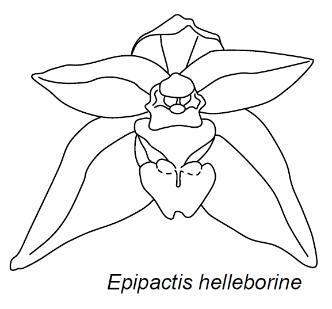 labellum, for example in Cephalanthera damasonium). which is a spot or disc called the viscidium. In Catasetum, the labellum produces some white fleshy tissue, a food reward for visiting insects. 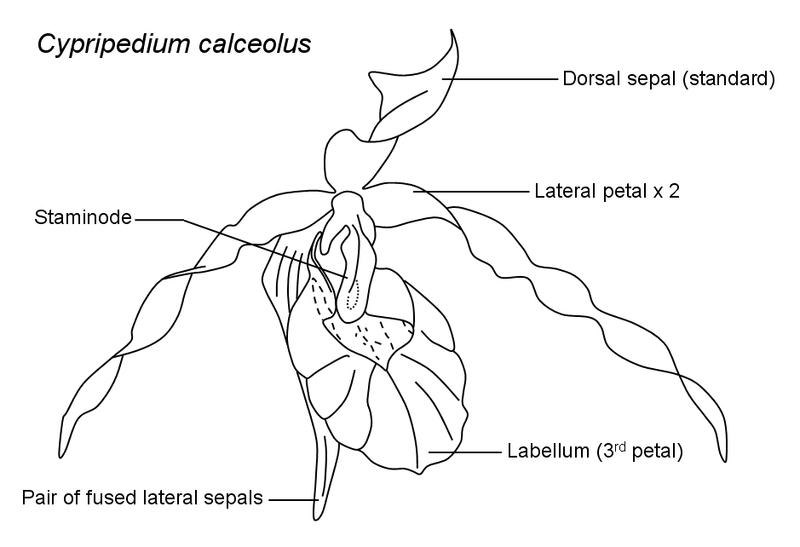 pollinium can be removed separately (each attached to a separate viscidium). inflorescence. 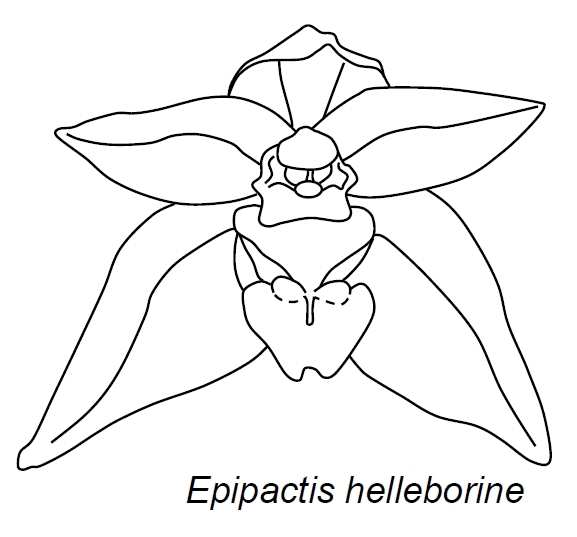 Examples include Catasetum and Cygnoches. 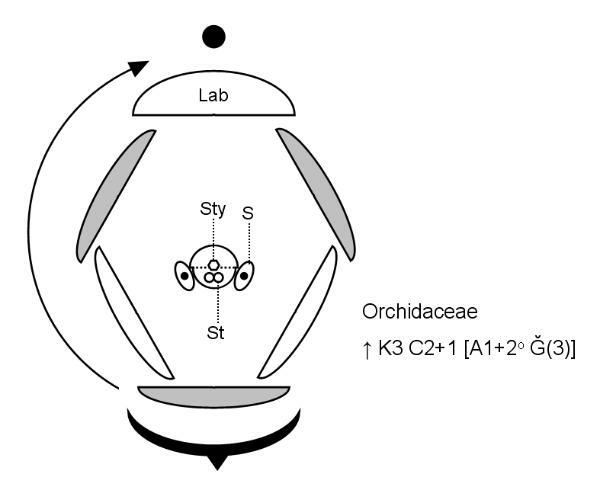 for their wonderfully diverse and 'ingenious' mechanisms of pollination. 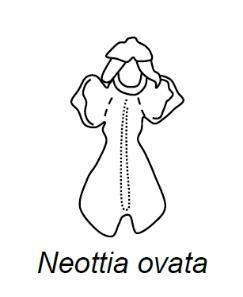 a lid/sheath or bursicle which is easily dislodged by the insect to expose the glue. disease, and increasing evolutionary flexibility. either the same flower or a different flower on the same plant (strictly fertilising the ovules). such as the elaborate mechanism we have already described. 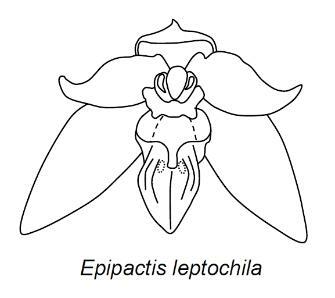 pollinia also soon disintegrate and fall upon the receptive stigma of the same flower beneath. danger of extinction in the wild. anything that may damage them. wilderness will be set aside and protected. 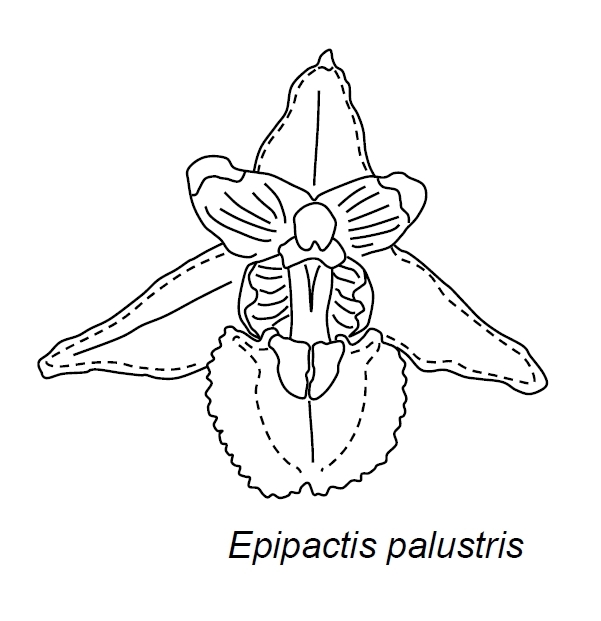 that mimics the pollinator's pehromones in some Ophrys species. 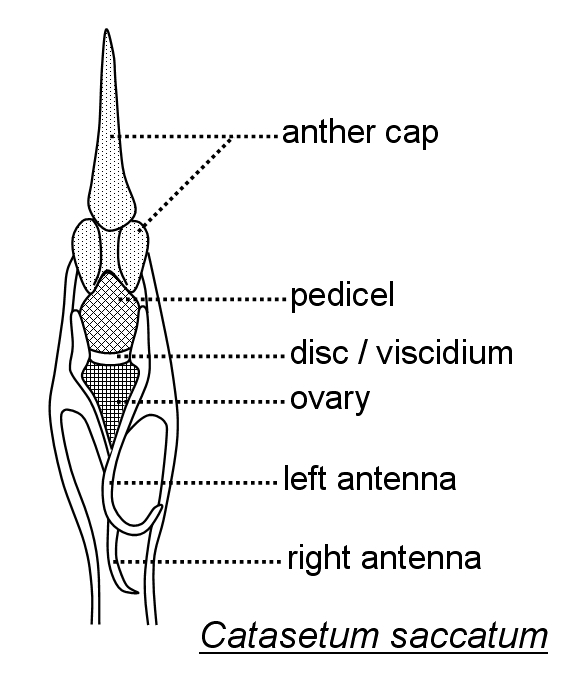 that it was not simply vibration or displacement of the antenna which triggered the disc release. 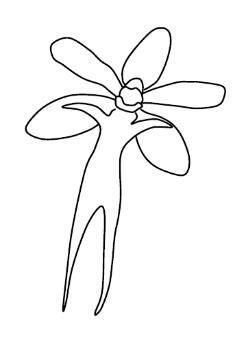 perhaps in response to an electrochemical signal generated in response to the touch. partially fused to form the column. 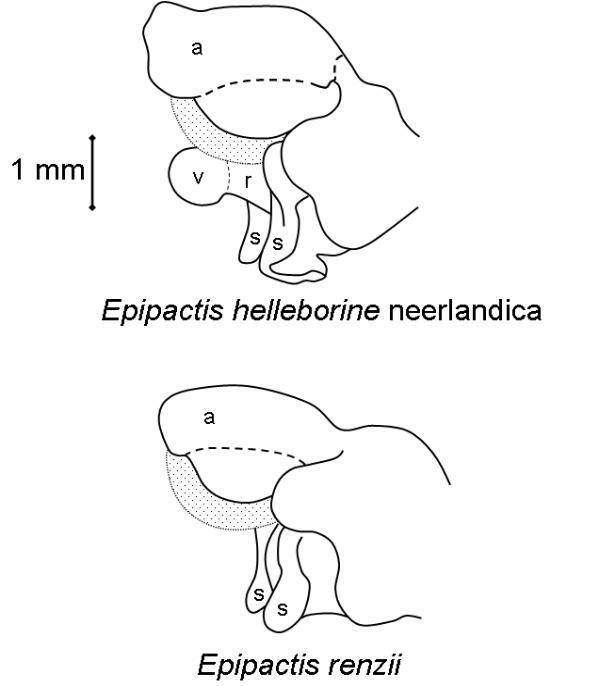 A hood (dotted line) covers the style and stamen. 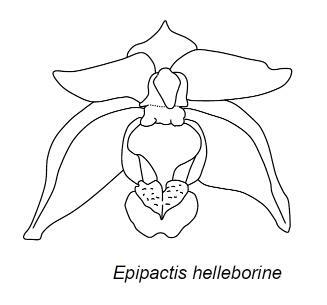 labellum and its particular shape. 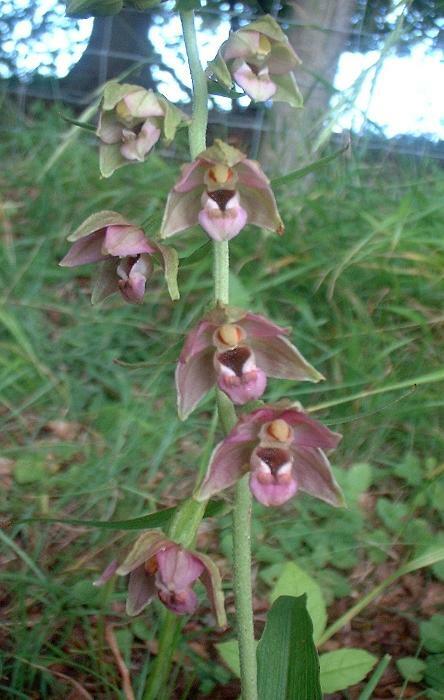 above ground, though they may not emerge or flower each year. three, with the third being smaller). & European flora 27 Bailey, J. & Ellis, R.G. (eds) 27–44. 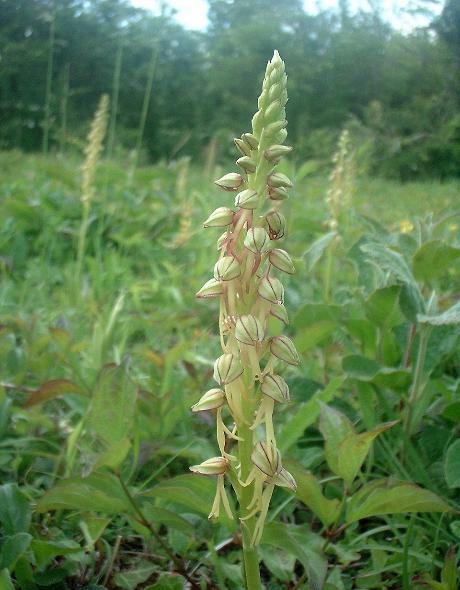 Cephalanthera damasonium. 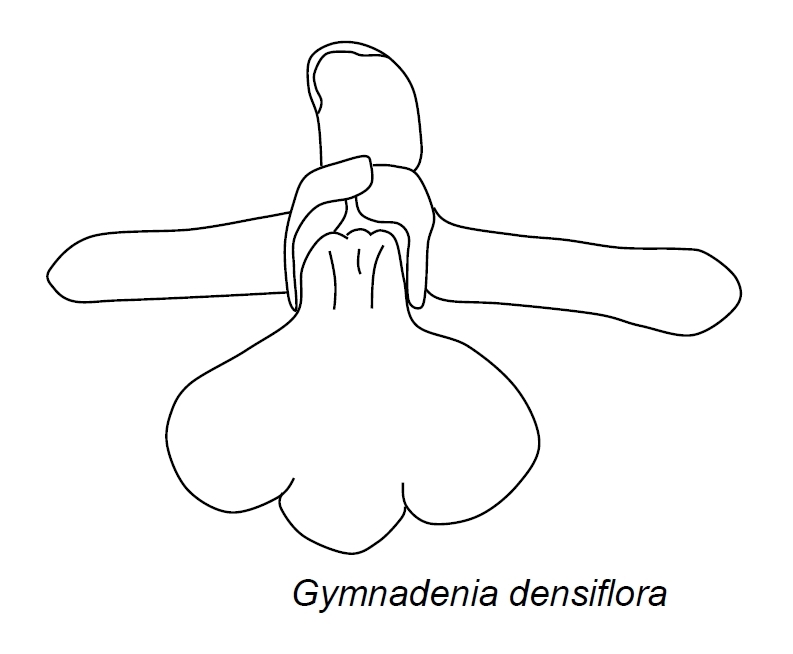 New Phytologist 166: 639–653. trifida derives little carbon through photosynthesis. 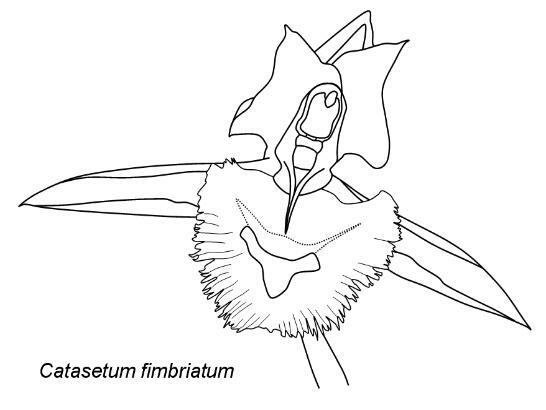 New Phytologist 183: 358–364. 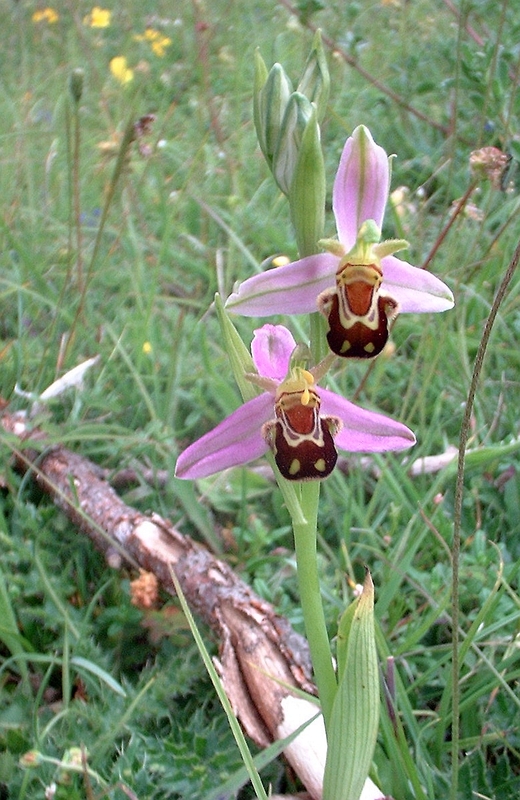 (Orchidaceae). Applied Ecology and Environmental Research 3: 29-38.
frequently contains no or very little nectar. which has been shown to increase pollination success. on fruit contaminate the nectar with yeast which metabolisms sugars in the nectar to ethanol. oxycodone, morphinans and indole-derivatives, which could account for the main narcotic effect. furfural, syringol, eugenol, methyl-eugenol, xanthatin, furanone and indole-derivatives. 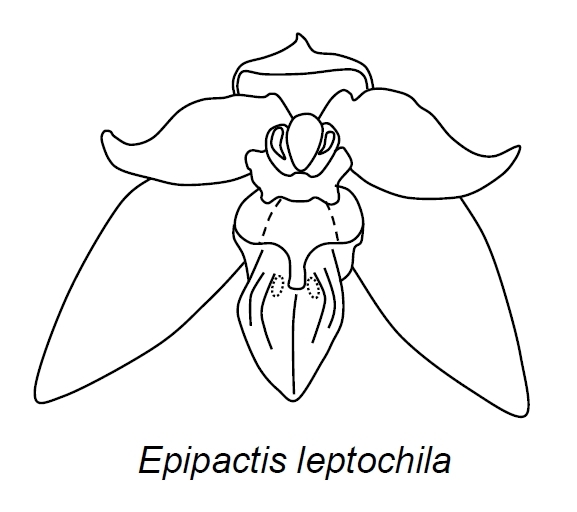 over-heating of the flower and excessive evaporation of nectar volatiles. Above: a close-up view of the Early Purple Orchid.